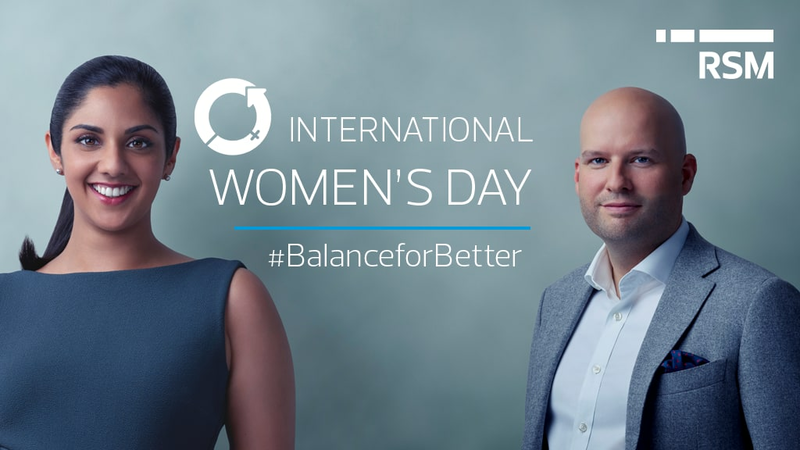 This year’s theme for International Women’s Day is #BalanceforBetter. The organisers have emphasised that balance is not a gender issue, it is a business issue. Society is continuing to make strides towards gender parity and the International Women’s Day movement correctly points to progress in boardrooms, the media, government and sport. Diversity issues are clearly coming to the top of agendas worldwide and global celebrations such as International Women’s Day help to drive this agenda. In accountancy and the broader financial services industry there is still a way to go to achieve balance, both in representation of women and gender pay equality. For example, representation of women in the CEO positions of S&P 500 firms is alarmingly low, with women holding just 24 CEO positions at these companies (4.8%). When it comes to remuneration, the UK’s gender pay gap reporting process has revealed that men are paid on average 21.5% more than women in the accounting profession – a trend that is consistent across the world. When I think about gender balance, I like to consider it from as many different perspectives and in as many different contexts as possible to help understand both the issue and identify potential solutions. In the context of my own industry, accountants have a role in balancing the books of a company. Similarly, in a political context, a country’s treasury is responsible for balancing the economy. These thoughts led me to question: whose job is it to balance gender in the workplace? The answer you are likely to receive is that it is everyone’s job to remedy gender imbalance. Certainly, we all have a part to play in the fight for balance in society. However, to make this as effective as possible, we must put a structure in place, assign roles to individuals that can be trusted to push the agenda forward and ensure that there is a clear plan of action with realistic goals and achievable objectives. There are some situations where specific roles have been created that give someone the responsibility to address these issues. For example, Joanna Roper was appointed as the Foreign and Commonwealth Office's (FCO) Special Envoy for Gender Equality in the UK last year. This role sees her promote a pro-women agenda by working both internally in the FCO and externally with other governments to help deliver a more robust and coherent approach to promoting gender equality at country and international level. However, while the corporate world has set out its stall in striving for balance there is still a long way to go. To achieve progress in both an efficient and effective way, business leaders must look to make balance part of their agenda and build a team with overall responsibility for addressing the issue. This team can be made up of employees that already work within the company or an entirely new team can be assembled. Many will say that the human resources department should be responsible for this, but this must be explicitly called out in job descriptions and team briefings if that is to be the case. This team should not feel isolated from the rest of the business. It is the team tasked with seeking input and engagement from every employee within the business; it should organise open forums, company initiatives and encourage the rest of the business to make an impact. As I travel around the world this year visiting RSM member firms, I’ll be speaking to the Managing Partners and asking them what they are doing to achieve balance within their firms. We must not wait for an industry-wide initiative that may never come to fruition. Instead, we should lead in the regions in which we work, and set a precedent for fairness, transparency and balance. Our network is built on diverse foundations and an inclusive culture; each region, country, firm and colleague is unique. Creating balance will require an individual approach that resonates with each unique group, but we must also support global campaigns such as International Women’s Day as they provide an opportunity to begin conversations to put equality on the agenda.